Lot is probably the most important backslider, who must be studied, as Jesus mentions clearly that the end days will be like Noah and Lot. So what was the state Lot? We know he split with Abraham when their herdsmen began fighting over water. Then uncustomarily Abraham gave his nephew Lot first pick where to go. Lot immediately decided the city of the lush plains around Sodom were very desirable and chose it for himself. 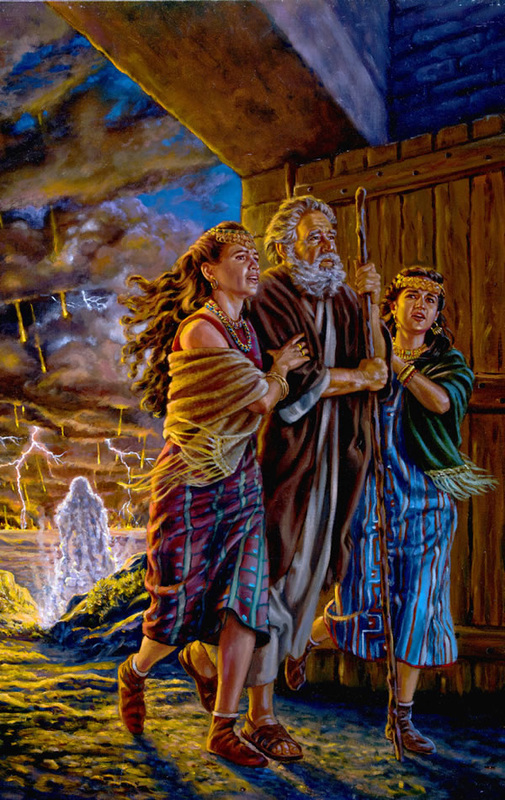 However when we pick up the Genesis account of Sodom's impending doom, the angels find Lot, not camped out in the plains like Abraham was, but rather he owning a house within the city and was sitting in the gates of the city of Sodom. Obviously Lot had become financially very wealthy and able to afford the luxuries of city life. The position of "sitting in the gate" was reserved for the elders, or judges, of the city. It denoted a position of prominence and esteem. Basically Lot had become as worldly as any person can possibly become. Yet of all the people Lot was saved. The angels going as far to say they couldn't destroy the city until Lot was safely out. Genesis 19:22 Haste thee, escape thither; for I cannot do anything till thou be come thither. All things considered Lot quite literally escaped destruction by the skin of his teeth and was living a very sinful life with virtually no repentance nor mentioned anywhere in the pages of the Bible. Yet Peter himself claims that Lot was considered righteous by God. This begs the question, if Lot could be so completely entrenched in sin, worldly living, and riches and still be considered righteous enough for God to save before torching two cities, then is there really anything, we saved Christian, can do to lose our salvation that God freely gives us? Of course, if we are really saved we wouldn't really want to live this badly but Lot certainly proved that righteousness had nothing to do with his performance. 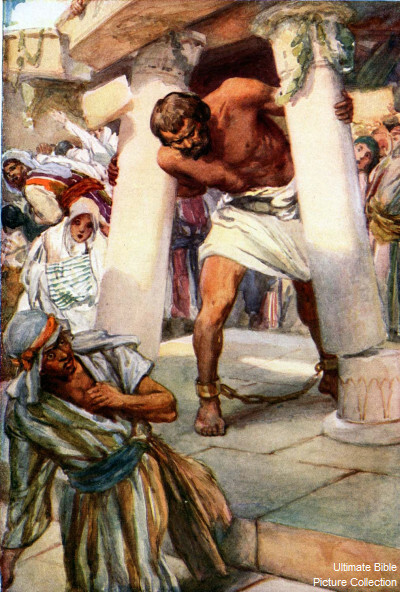 Samson was one of the most notorious Israelite judge ever. Hot-headed and arrogant due the immense strength God had given him, he thought himself as invincible. He did whatever he pleased. He married Philistine women when God had forbidden Israelites from marrying foreigners. And if that wasn't bad enough, Samson made a regular habit of visiting prostitutes in Gaza. If God's salvation depended squarely upon righteous living or even repentance, Samson surely did not do it. Even at the end of his life, repentance didn't even cross his mind. 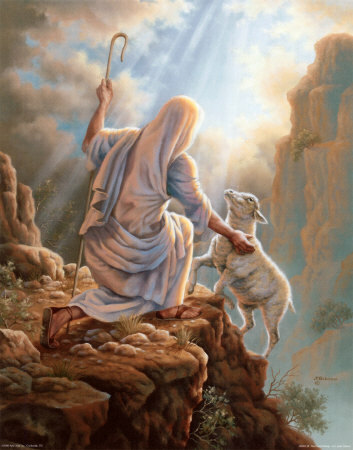 He only sought vengeance for his blindness. 30 And Samson said, Let me die with the Philistines. The simple fact that God answered Samson's prayer, shows that he was still one of God's people. 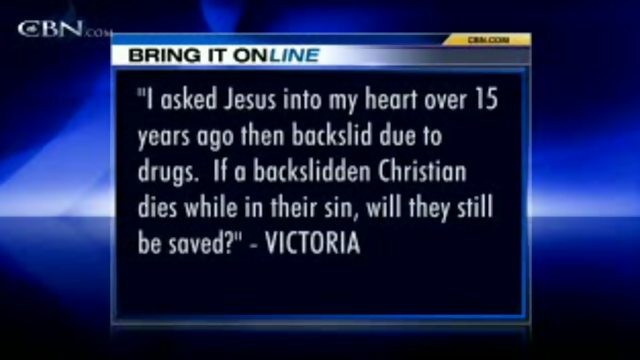 This speaks volumes for God's salvation still being given to people who don't even repent their sinfulness. 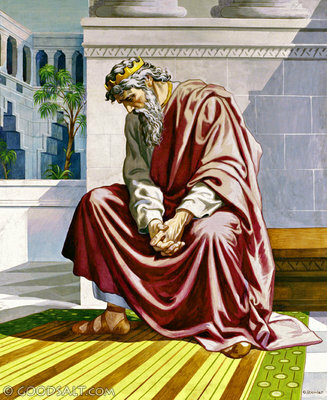 David was always known as a man after God's own heart. Peter in his writings even mentions that David was waiting for the resurrection day, meaning David was considered saved. However David committed two HUGE sins, adultery with Bathsheba and murder of her husband, Uriah. In most people's books, even one would have been grounds for losing his saved status. However, David did repent but what people fail to see is that David retained his saved status even when he was living in sin. This can clearly be seen in his Psalm of repentance. Notice David didn't say restore to me thy salvation but only THE JOY. Therefore David repented of his sin not to be saved again but rather to get back the joy or fellowship he lost by sinning. Notice David even in his sin was still saved. 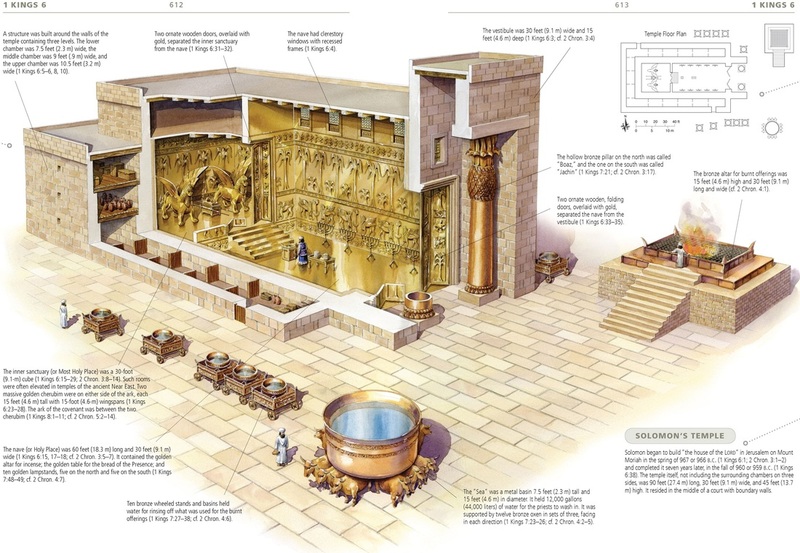 Solomon is most well known building the Temple of God and for writing of the Proverbs (see Proverbs 1:1 and 10:1), Ecclesiastes (see Eccl 1:1), and Song of Solomon. However Solomon was also known for his insane number of foreign wives(700) and concubines(300). But more notorious was how they got him to turn away from God. Unlike David though, Solomon never repented of this and would basically die in his sins. However, the Bible strongly indicates that Solomon was still considered saved. Peter identifies all writers of scripture as holy men of God. Since Solomon wrote much of the OT just as David wrote Psalms and David was definitely saved, Solomon would also be considered saved. Here Jesus compared Himself to Jonah, who repented and was definitely saved. In the same way, Jesus also compared Himself to Solomon, which means he must have been saved as well. Therefore Solomon was probably one of the most extreme examples of being saved, falling from grace, dying completely backsliden and unrepentant, and yet still listed as saved by Jesus himself. As you can see from above, even the most Godly men fell and sometimes many times over. But the most important thing is that God still kept them on the list of those who are saved for all eternity. Clearly if our salvation was dependent upon our ability to act right and keep the commandments we'd all fail, as these heroes of the faith have. Luckily for us the good news is that God made His salvation gift dependent, not on our efforts and performance, but rather upon the finished work of his Son. It should be clearly noted though that salvation doesn't give us a license to sin like most fear. For the moment we receive salvation, our lives are supposed to be forever changed, desiring good like God and not evil. However Christians should not live in fear constantly that any little slip up can potentially lose them their salvation forever. Their good works should reflect a changed life for the most part and the desire for repentance like David when he sinned. Sin in a believers life is to be expected. In fact, the Bible says if say we are without sin we deceive ourselves. You will notice this statement is addressed to believers as well as non-believers. However believers need not worry about losing their salvation. David showed clearly your sins separate you from God, as in your fellowship with Him is broken, but you are still saved. Its easy to try to fake changed life but it won't stay consistently, as its hard work under your own power to stay good contrary to your sinful nature. The only way to have righteous life without much effort, is to be changed from the inside out. And the only way to do that, if you haven't already is to repent of your sins and accept Jesus as your Savior for all your sins (past, present, and future).